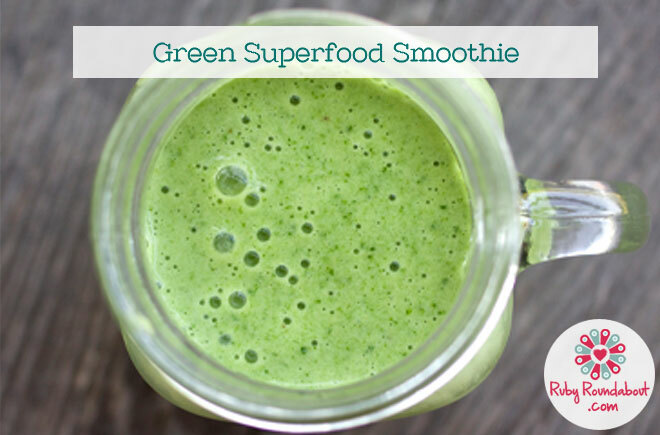 This smoothie is a surefire way to love getting your daily dose of healthy greens – and is only made of four simple ingredients! A base of frozen bananas gives the perfect, creamy consistency, and the use of vanilla almond milk adds the perfect amount of sweetness without watering down the drink. After that, it’s all greens. A mixture of kale and spinach means that this smoothie is full of superfoods that will get help get you through the day (and the week, and the month, etc). You wouldn’t believe that these four ingredients would produce such a delicious smoothie, but it’s truly what I start my day with every single day (and I never have to force it down, I savor every last drop). 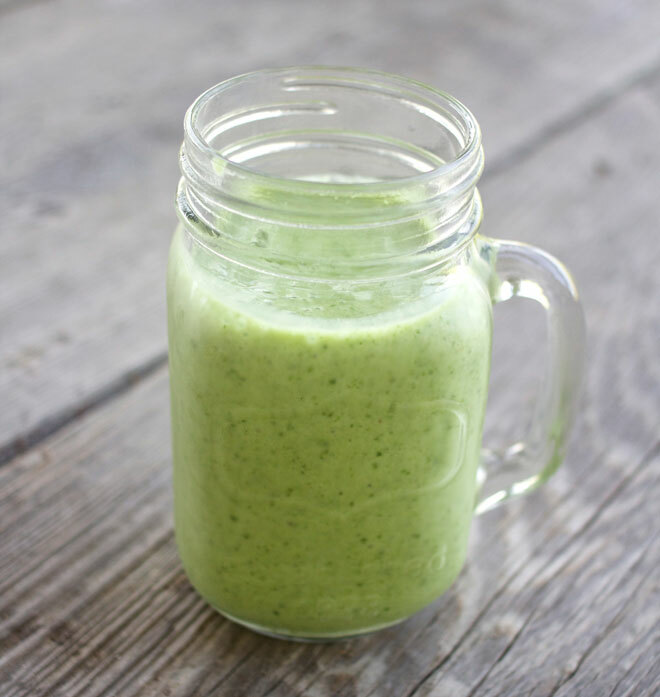 If you really don’t like the taste of kale you can use all spinach, and vice versa, but I strongly advise trying this the way it should be made first – the sweetness of the bananas and almond milk work together to cancel out the bitterness of the greens! Now for the good stuff: kale and spinach are both full of tons of nutrients. Kale is chock full of fiber, iron, vitamin K (which helps protect against various forms of cancer), antioxidants, vitamin A (promoting good eyesight), vitamin C (boosting your immune system) and is great for detoxing your body. Spinach is full of vitamins K, A, C, E, B2, and B6, as well as potassium, iron, calcium, magnesium and phosphorus! All in that little leafy vegetable! It’s heart healthy, can help protect your eyes against degenerative diseases, and promotes gastrointestinal health. How can you say no to so many delicious nutrients?